Who doesn’t love a name of a restaurant that suggests that you need more food? The best pizza I’ve had in DC has been at & Pizza! 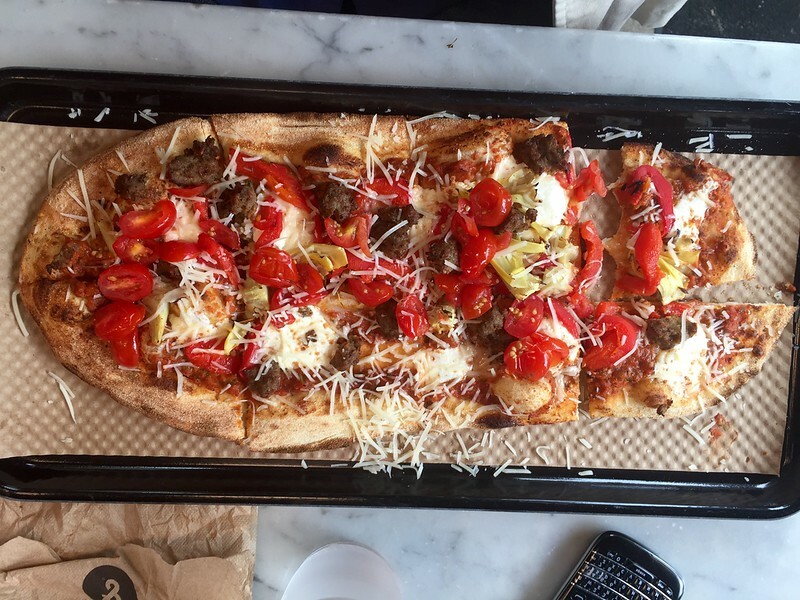 This is definitely a place for fans of New-York-thin-crust style. The dough is thin and crispy, and you can mix any toppings you’d like for a reasonable price of less than $10! This is the perfect lunch spot! I topped my pizza with roasted red peppers, artichokes, parmesan cheese, meatballs and olives. If you’re in DC – I hope you’ll visit me at the British Embassy Open House Day tomorrow!